a very large sea cave and a sea lion skeleton. A White Sturgeon bigger than me (a ze Bulette has been added for scale). 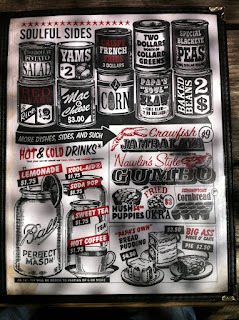 And lots of good food, check out the menu of this soul food place. I still think a comic book, visual style rpg rules would be cool. I also had the pleasure of playing Portal for the first time and Telecanter the Vth and his poor chicken Rochester met their doom exploring an abandoned school. It was a nice time thanks to ZB for the hospitality. Now, I have to get my head into work because the busiest time of year is barrelling towards me at full speed. > I still think a comic book, visual style rpg rules would be cool. On my agenda ... more or less. Wish I was a better artist though! Awesome. Maybe you can storyboard it with stick figure or silhouettes or something then throw it out to the artists in the community. 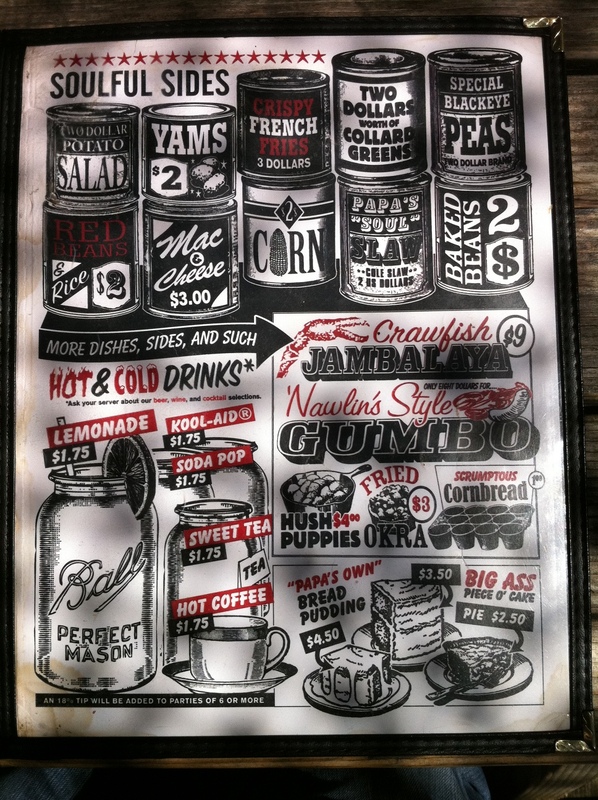 Looks like the menu from Papa's Soul Food in Eugene, yes?